Verizon, the nation's largest carrier by subscriber count, has just announced a pretty neat holiday promotion. 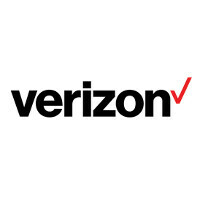 The carrier is offering 2GB of data each month to any new or existing Verizon customer who adds or upgrades a smartphone on the carrier's XL or XXL plans from now until January 6th. If you're on one of these two plans and were thinking about upgrading your phone, this should fall as a good incentive to take action. Verizon says that customers can add up to 10 lines per account, and each one of these lines will get the extra 2GB of data per month. Month after month, you'll keep getting an extra 2GB of data allowance as long as you remain on the XL or XXL Verizon Plan and have a phone connected to that plan. The XL plan normally gives you 12GB of data per month, but the total allowance will be upgraded to 14GB if you take advantage of this offer. Although only adding or upgrading a phone will get you the extra monthly data, the 2GB of extra bandwidth can be shared with any device on the account, such as a tablet or a wearable. What do you guys think of Verizon's new promotion? If upgrading your phone on Verizon seems like a good idea given the extra 2GB of monthly bandwidth, make sure to check out our recommendations for the best Verizon phones priced at about $400. XL is 14GB, plus 2GB = 16GB @ $80 XXL is 20GB, plus 2GB = 22GB @ $100 It's a valid promotion, not the Greatest of deals but definitely worth it if you're into getting a new phone. Unfortunately them either, feeling or actually being at the top, they don't have to be as aggressive as the other carriers i/e TMo offering 10GB a line at about just the same cost. As well as charging more for their Grandfathered Unlimited Data than AT&T increase that followed thereafter. The XL plan is only 12gb for $80 and the XXL is 18. This is correct. Idk where you others got your information from. http://www.verizonwireless.com/landingpages/verizon-plan/ I may jump on this. I have UDP, but only use 6gb/month and have used 6gb per month for the last 2 years. With the recent price increase for UDP this plan would save me money. I HATE to give in, but this makes sense for me and my wife. I don't understand how the email and your article both say you get the extra 2gb per line per month, yet you say the total gb would go from 12gb to 14gb. That's not per line. That's per account. Per line would mean if you have 4 lines, you should get an extra 8gb. 4 lines x 2gb per line. I think the email and your article are very deceiving.